Two-Day Underwater Propulsion Swim Camp – Sign up for one or BOTH days! This camp is all about maximizing your swimmer’s speed through the turn and into their breakout in all four strokes. Did you know that the fastest that your swimmer is ever moving in the water except for the start is during the streamline after the turn? Most swimmers – even at the elite level do not “TRUST” their streamline and use it to propel themselves into the breakout. There’s a huge opportunity here for your swimmer to capitalize on this speed and maintain their momentum into the breakout. There is a lot of time for your swimmer to drop at this crucial point in every single lap. On Saturday the focus of the sessions will be on the point of the turn through breakout in freestyle and backstroke. On Sunday the focus will be at the same points in reach race, but for breaststroke and butterfly. Your clinician will be one of the most successful sprint coaches in the world – having coached multiple athletes to the podium over the past three Olympics and World Championships – Elite Clinician and five-time Olympian: Brett Hawke! Brett was in the Olympics twice as a swimmer and three times as a coach. Scroll down to read more about the curriculum. SAVE: Sign up before prices increase or the sessions fill up! There are four sessions. There are two for swimmers ages 12 & over and two for those 11 & under with at least one year of competitive experience. Swimmers younger than 9 years old are not recommended for these clinics without your coach’s recommendation. Best Deal: Sign up today! The speed that your swimmer has after the turn can easily go to waste if they don't have the proper technique to maintain their momentum into the first three strokes of freestyle and backstroke. This session focuses on carrying momentum through the turn, reinforcing a strong streamline, attacking the underwater dolphin kicks, and achieving explosive freestyle and backstroke breakouts. FLIP TURN: Your swimmer will learn how to carry their momentum through the turn to get in and out of every wall faster. Swimmers will practice accelerating into the wall with long strokes and then using their core and arms to get through the turn. They'll practice planting their feet on the wall for a powerful pushoff in the perfect streamline. Brett will give the swimmers drills and exercises to help them master this athletic skill now as well as in the future! STREAMLINE: A great streamline is all about eliminating as much drag as possible to move through the water faster. Very few swimmers actually know how to streamline correctly. 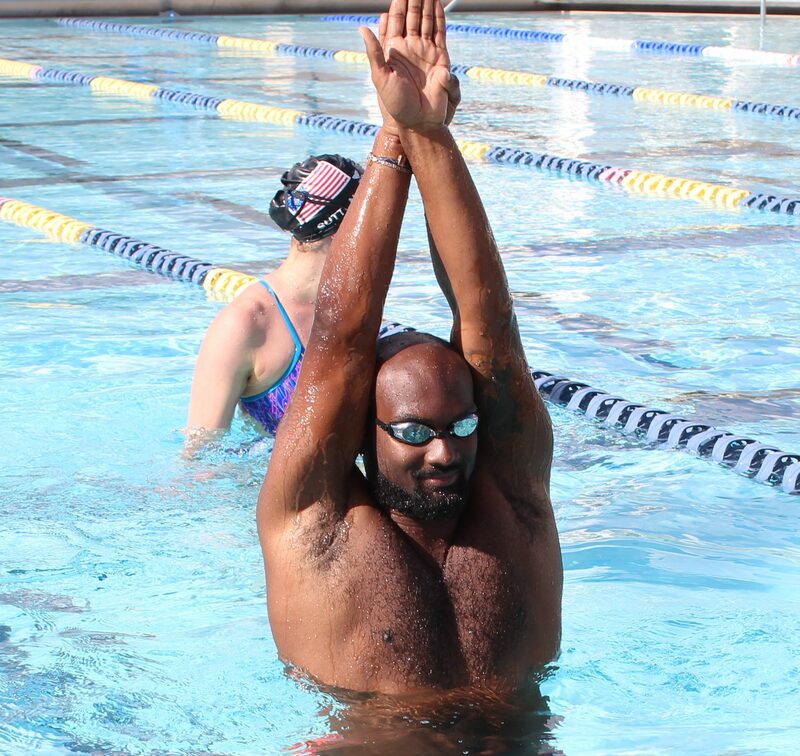 Your swimmer should be fully engaged from fingertips to toe tips with a strong core and proper body alignment. 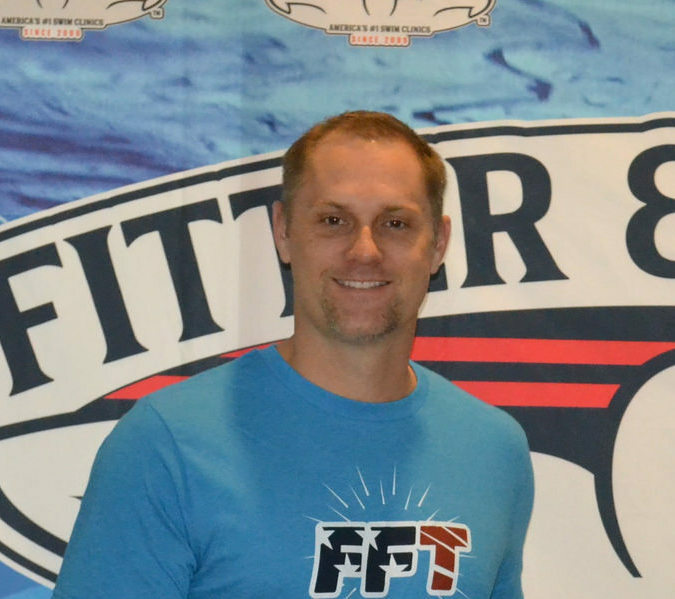 Brett Hawke will work with each swimmer to not only understand the techniques needed to have the best streamline possible, but he will also help the participants FEEL what it's like to move through the water with less drag. UNDERWATER DOLPHIN KICKING: Elite level swimmers have learned that they are faster underwater than they are on the surface... with the proper technique. They've figured out how to weaponize their underwater dolphin kicking to set themselves apart from the crowd by going 15 meters (the maximum distance you're allowed to go) every time! Attaining this speed is not as hard as you think. It takes the right technique, focus, and practice, but your swimmer can do it too! Learn from one of the best coaches in the world in these sessions and get closer to achieving the dolphin kick of your dreams! FREESTYLE AND BACKSTROKE BREAKOUTS: Don't overlook the breakout! Both the timing and technique of the breakout are equally important to be able to maintain the momentum from the underwater dolphin kick into the first few strokes of swimming freestyle and backstroke. Your swimmer will work on keeping their head in line as they transition into their flutter kickand they'll practice taking their first stroke with power and efficiency as they break the surface tension to launch themselves forward. When the fastest swimmers in the world push off the wall in butterfly and breaststroke races, their goal is to maintain the momentum through the turn, into the pushoff, and then accelerate into their breakout so that the first 3 strokes are at maximum speed! At these sessions, Olympic swimmer and coach Brett Hawke will work with the swimmers to find ways to maximize their open turns, breaststroke pullout, as well as the first few strokes in butterfly and breaststroke races. BREASTSTROKE PULLOUTS: The breaststroke pullout is a challenging skill to master due to the importance of patience and timing. If your swimmer completes each step too slowly or too quickly, they'll lose momentum. There is a fine line between breaking your bodyline too soon and slowing down. Your swimmer will finetune their technique as well as their timing on when to engage the dolphin kick and how long to hold each glide phase from Brett Hawke. 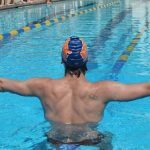 BUTTERFLY AND BREASTSTROKE BREAKOUTS: In both butterfly and breaststroke breakouts, it is important to breakout with the proper body position with hips high in the water. If the assent is too steep, your swimmer will drag their hips through the first few strokes. Brett will work participants in these sessions to breakout faster in fly and breast races! Swimmers and parents are invited to ask Brett questions during a Q&A session. Gain insight into his training regimen, diet and nutrition, and recovery tactics. Learn a progression of drills designed to help swimmers understand and feel powerful, efficient and fast swimming. Swimmers will get to practice what they've learned by taking their stroke to top speed with one of the best swimmers and coaches in the world! They'll work on holding onto their form while challenging themselves. Take a photo with Brett, get autographs, and a gift from TYR Sport! Brett Hawke is a five-time Olympian! He is a two-time Olympian as a sprint freestyler for Australia and a three-time Olympic coach! He coached 14 swimmers to the Olympics. Swimmers will benefit from Brett's extensive experience and learn the importance of focusing on the details to blast ahead of the competition! Elvis is an Olympian and National Record Holder for his home country of Bahamas! Elvis encourages the swimmers to attend his camps to swim smart and work hard in order to take their swimming to a higher level. Sign up to learn from Elvis and become a smarter, more explosive swimmer!